Michael Castello, of Castello Brothers LLC, announced the sale of the domain name Traveler.com. The announcement came in a comment on DomainInvesting.com. Michael Castello did not disclose any more details for this sale and the domain name whois still reflects his company’s info. The purchase was done maybe on a payment plan or some other more complicated deal. But the new buyer is already known as the new website is up and running. 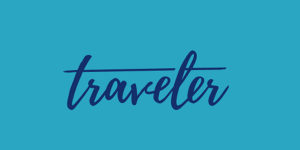 Traveler.com is a crypto-friendly discount travel aggregation platform that claims to be offering lower prices on travel products and services to consumers than traditional outlets, through an internal real-time crypto to fiat exchange and use of the native Traveler utility token (“TRVL”) on the site. Michael said that the price will be made public but did not say when. Of course some will say that this is another big crypto domain name sale. Well yes, but not exactly. On another interesting note, back in 2008 the Castello brothers teamed up with Rob Monster to develop their Traveler.com domain into a global travel portal. I guess these plans never worked out. What I found a bit confusing is that there is another TRVL Token coming out that seems very similar. The other TRVL token can be found at TravelBlock.io. Almost the same team that runs Traveler.com (as a discount travel platform) seems to be also running TripX.com, a BlockChain Payment Solution, that will launch TripCoin that will become a Crypto Currency that will power travel transactions around the globe that the website claims will be faster, cheaper and more securely than today’s alternatives. Looks like a solid seven figure sale! Congratulations to Michael and David. I am able to confirm that Traveler.com is a great domain. Big claims 60% savings, where most of these companies are making a 4-8 % margin on bookings, sounds like hotels.club is out of business.